The Festive Season is kicking in once again and many of us are anticipating travelling for Christmas holidays and to visit family. But it won’t always be plain sailing! Whether it’s by coach, train, plane or car we are affected by the actions of others – drivers, schedulers, pilots, baggage handlers, air attendants, bus drivers, cruise and ferry captains and our fellow travellers. I’ve had my fair share of travel difficulties over the years. I’ve missed interstate meetings because of flight delays, have stood for hours in queues, lost luggage, weathered rough seas, battled with tired children, been stuck in traffic jams and lost my patience on more than one occasion. How was your Easter? Did it get you thinking about your life? I’ve chosen my guest post today for the light it shines on the many beliefs about life and death surrounding the Easter story. Spokesperson for Christian Science in Northern California, Eric Nelson, is quoted in the full article on the Washington Times. Thanks, Eric! Colored eggs and chocolate bunnies aside, could it be that Easter holds the secret to better health? First – for those who may be unfamiliar with the origins of this holiday, Easter is Christianity’s commemoration of the resurrection of Jesus three days after his crucifixion, although much of its symbolism is borrowed from the Jewish Passover, a much older tradition celebrated around the same time of year. (For details on the origins of the Easter Bunny, you’ll have to read someone else’s column). Depending on your perspective, Easter can mean any number of things. For some it’s nothing more than an entertaining folk tale. For others it’s the fulfillment of Biblical prophecy, meant to inspire a deeper devotion to God. For others it’s a beacon of hope that there really is such a thing as life after death – maybe even life instead of death. 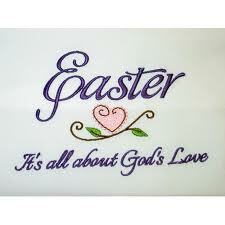 Who knew that Easter relates to Springborg’s health portfolio? 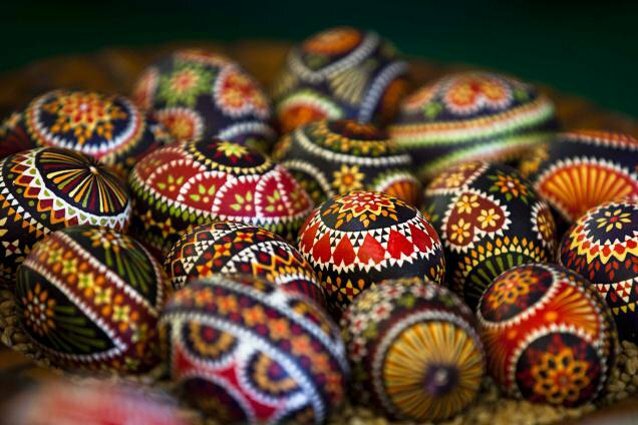 Easter is one of the very special dates on the Christian calendar, because Jesus’ healing lifework, culminating in his resurrection from the dead, changed our understanding of both ourselves and the divine. To me, Jesus’ life is evidence of a practical, effective and loving God, and of how we too can experience the divine, here and now. The very essence of the life he outlined and we know as Christianity is love; love for God, love for ourselves and love for each other. The fact that love heals has major implications today in our community. Seems like the message from Jesus has health implications, as well as religious! 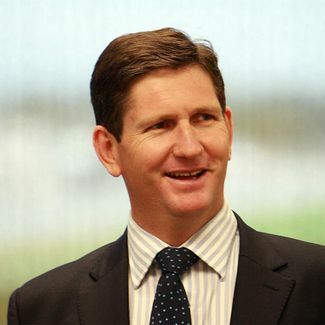 As Lawrence Springborg takes on the health portfolio in the new Queensland government he may not be thinking of the connection between the Easter message and health. Along with the enquiries he’ll be making, he more than likely will be contemplating ‘big picture’ questions, like “how can I ensure Queenslanders are offered the best health care alternatives available?” and “how will I repair the technical systems, improve the processes and mend staff morale in Queensland Health?” A big ask, I agree, and one for which we all need to lend our support, knowing as research tells us that politicians are more likely to do everything in their power to make good on their election promises than not. Big picture thinking, lateral thinking, and thinking out of the box is required of our leaders, and I’m sure Springborg will step up to the plate. He’ll hear quite a bit about allopathic medicine and its associated systems, but will be sure to realise that it is not the only healing method available or in demand. You might be just as excited about results from research into the placebo effect. Could this be evident in the current confidence in the seemingly endless preventative and curative qualities of aspirin? I think that best-selling author Bernie Siegel MD, speaking from years of experience as a physician and who has cared for and counselled innumerable people whose mortality has been threatened by illness, summed up the message that I hope you will take away from these facts, Lawrence, “The simple truth is that happy people generally don’t get sick”. Seems that spirituality has much to offer the healing arts, and will assuredly bring improvements in health outcomes, as it is already doing in the fields of mental health, ageing and palliative care in Australia. I can certainly vouch for spiritual care, as I have relied on Christian Science for my health care needs for nearly 30 years. Who knows what public healthcare will look like in the future, but we can be sure that it will take into consideration more fully the mental nature of health and include a recognition of the profound healing benefits of spirituality, Minister!